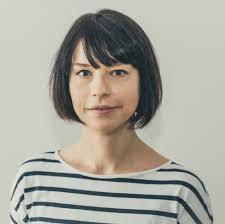 Katarzyna Słubik works for IDC Member Stowarzyszenie Interwencji Prawnej ( SIP – the Association for Legal Intervention) based in Warsaw, Poland. Here she reflects on her recent attendance that a workshop coordinated by IDC and it’s application in her national context. Last August, I travelled to Mexico for a first ever Global Meeting of Alternative to Detention implementers. There, I saw tangible proof of growing civil society involvement in programmes aimed at reducing detention through provision of rights-based alternatives. The examples varied widely and showed that different levels of governmental engagement are possible. We heard from NGOs from Mexico (Asylum Access, Sin Fronteras, SOS Children Villages), Japan (Forum for Refugees), the Bahamas (Red Cross Bahamas) and Jamaica (Red Cross Jamaica). They included examples of national agencies who refer individuals to NGOs (who operate without any financial support from the government) and examples of alternatives run by NGOs who are fully funded to provide services from public budgets. The examples also explored various models of the distribution of tasks between the stakeholders: provision of accommodation and case management is most commonly assigned to NGOs, but in some cases civil society would also be entrusted with screening and assessment of those who should not be detained. 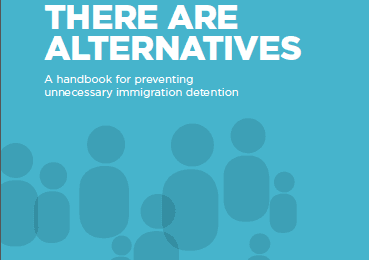 The promising practices showcased in Mexico align with a growing interest in alternatives to detention in my own European backyard: the European Commission recently strengthened its guidance on alternatives to detention in the returns context. And during the latest Council of Europe conference on child detention hosted in Prague, numerous speakers, while calling for the governments to stop detaining children, also stressed that civil society needs to step in and contribute to the development of effective alternatives to detention. Despite these strong calls, it still does not come naturally for national governments to involve NGOs in procedures that aim to reduce detention. In Europe, discussion of alternatives to detention has mainly focused on restrictions or conditions placed on individuals (such as reporting, designated residence and bail) which seek to control migrants through coercion – i.e. tasks that cannot and should not be attributed to NGOs. The IDC’s global comparative research, There are Alternatives, shows that a different, engagement-based approach is more effective in meeting government objectives around compliance and case resolution, yet decision makers fail to fully buy in to this concept. One big challenge has been a lack of examples of engagement-based alternatives from the region. But here also lies an opportunity for NGOs, which are well-placed to build trust and often have the expertise in providing structured support to migrants in the community. SIP’s No Detention Necessary (NDN) project has been implemented in Poland since June 2017, and it aims to directly respond to this gap by building evidence based on practical implementation. The project aims to identify a group of ca. 25-30 individuals in return procedures, mostly vulnerable people such as families with children, and provide them with tailored case management, legal and psychological aid to support and empower them to explore all migration outcomes. We want to show that, through this approach, it’s possible to resolve people’s cases in the community without the use of detention. 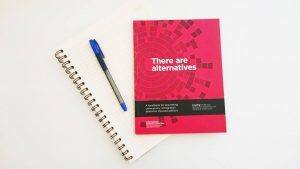 What makes it different from some other alternatives implemented by NGOs, such as those in Mexico or Australia, is that it is not dependent on governmental engagement, at least not in its initial phase. We chose this strategy for a reason. 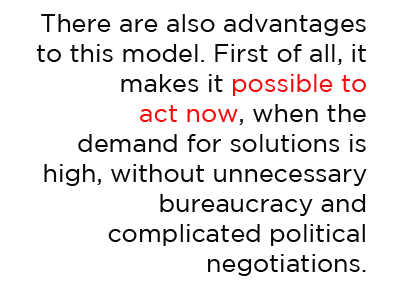 First of all, it makes it possible to act now, when the demand for solutions is high, without unnecessary bureaucracy and complicated political negotiations. Also, as the NDN project is a pilot, SIP has the capacity to experiment with tools and methods, to adjust the CAP model to a Polish context. For example, the concept of case management is rarely put into use in social work in Poland, let alone in migration management. SIP is introducing this method, drawing on experiences of other countries and our previous practices of working with migrants. There are also challenges. The NDN methodology relies heavily on the IDC’s CAP model, however without government involvement some of the conditions of effective alternatives are difficult to fulfil. This is the case with early intervention – without referrals from national agencies in the first phase, an NGO can only rely on its network of contacts and visibility in the migrant community to be able to reach out and support individuals at an earliest stage of their procedures in Poland. It is also not possible for SIP to respond to individuals’ basic needs such as food and housing, therefore we can only work with persons who have their basic needs met through their own efforts or other service providers. As the project progresses, we aim to engage with different levels of government. 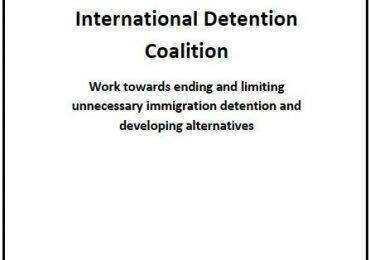 Keeping strict rules of collection of information and its recording, followed up by thorough external evaluation, will hopefully enable SIP to build an evidence base that will prove useful for advocacy to reduce detention and expand the use of engagement-based alternatives to detention. The No Detention Necessary pilot is one of the signs that civil society is ready to take on a more significant role in implementing rights-based alternatives as part of a strategy to reduce immigration detention. SIP is a member of European ATD Network which brings together NGOs in the UK, Cyprus, Bulgaria, Poland and Belgium – each running or exploring pilot alternatives – with the IDC and PICUM, leaders in the field of regional and international advocacy.